Twin Givens Sudoku is the new Sudoku type which get used in the Sudoku Mahabharat 2016 Twisted Classics round. This Twin Givens Sudoku puzzle was used in this championship. 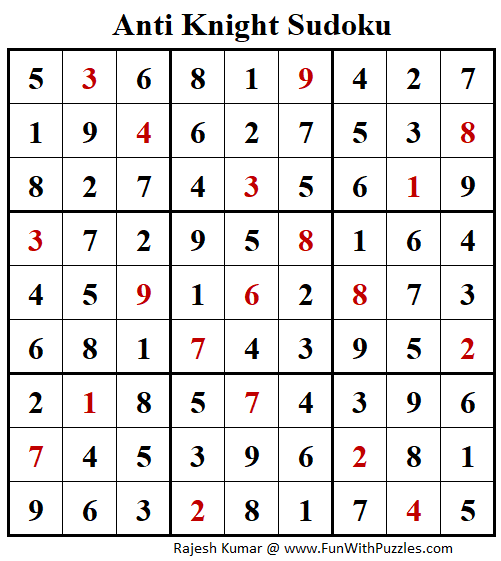 Twin Givens Sudoku variation is an easy Sudoku variation where there are two black cells (also known as twins cells) which does not touch each orthogonality. This Twin Givens Sudoku puzzle I am posting in Mini Sudoku Series as 85th Sudoku in this series. Place digits from 1-4 in each row, column and 2x3 outlined box. Two cells will remain empty as these are twins and of the same value. No two twins can touch each other in orthogonal directions. 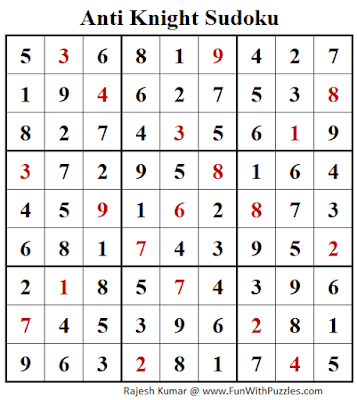 Here is the Answer of Sudoku puzzle titled "No Knight Step Sudoku Puzzle (Fun With Sudoku #266)"